Last week the US and Israel signed yet another agreement to solidify their friendship and Israel’s role as the US’s number one ally in the Middle East. The agreement signified the renewal of the US’s foreign military aid package to the small Mediterranean country which was increased from a yearly 3 billion, to 3.8 Billion USD a year for 10 years starting 2019, signifying a 27% increase. The signing of this agreement has led, as always, to a string of questions on why the US, which has openly accused Israel of stifling the progress of peace with Palestine due to its on-going construction of settlements in the West Bank, continues to provide this military aid. Another equally pertinent question is why a nuclear power even requires military aid considering the lack of any conventional military threats to its security. In the backdrop of this agreement is the continuously strong relationship between America and Israel, the truth though is that relationship hasn’t always been this close. As a matter of fact for the majority of the 50’s the US’s official stance was non-alignment, ironic considering that that is a term used by countries in the region during the cold war to signify their non-alignment to neither Soviet or American spheres of influence. As a matter of fact under Eisenhower, Israel, the UK, and France, were pushed under international pressure to retreat from the Sinai peninsula after a joint invasion following the nationalization of the Suez canal by Egypt’s Nasser in 1956. In 1967, and in spite of the US’s cautious support of Israel during the 6 day war, the USS liberty, an NSA spy ship, was attacked by air and sea resulting in the death of 34 Americans and wounding 171, an event that was chalked up as a “friendly fire” incident by the contested official reports. It wasn’t until 1974 under Nixon that military Aid to Israel started hitting the billions. A tell-tale characteristic of the Nixon administration, which also corresponds to the increasing drift of Arab states towards Soviet support. Since then American military aid to Israel has reached a total upwards of 120 billion USD, and it seems like the US can’t stop. A lot has changed since the Nixon administration, Israel is now at peace with Jordan and Egypt, by far the only two countries that posed a realistic military threat with both now receiving US military aid as consolation for their peace deal, comfortably occupying second and third place on the list of recipients. Israel is now a nuclear world power, and from 1967 has occupied all Palestinian territories from the Sinai Peninsula to the Jordan River. And since the last Arab-Israeli war in 1973 there have been no conventional incursions into Israeli held territories by other countries. Israeli military strength is then focused on two things, as a deterrent to non-state actors such as Hezbollah in Lebanon, and to maintain what is deemed an occupation by the international community, of Palestinian lands under its control since 1967. It is at this point that critics of the aid package step in accusing the US of simply enabling this occupation while squandering what constitutes 9% of its foreign aid budget which can be put to better use internationally and even domestically. A fair point considering that the average American is footing up to 600 USD a year towards this unconditional and growing aid even in the face of increasing diplomatic frustration expressed by the US. The fact that the aid packages keep going leave no incentive for Israel to be fully engaged in a peace process building towards a two-state solution. Furthermore, this unconditional aid and support furthers animosity between Arab states and the US, which has led, in the past, to the 1973 oil embargo, and today continues to act as fertile propaganda for extremist elements. Foreign policy red flags all over. A counter argument has been made in that the US is already punishing Israel for both its non-compliance to international law, and its attempt at impeding the Iranian nuclear deal through its American lobbying body AIPAC. The argument states that when adjusted for inflation this 27% increase in aid is actually less in terms of real value. The new agreement also comes with limitations such as the inability for Israel to lobby for more money through congress, a privilege that Israeli PM Benjamin Netanyahu bent to deliver a speech to congress in March 2015 against the Iran deal. Additionally, the agreement forces Israel to return aid money if re-commissioned by congress, and postulates all aid to be spent on US equipment doing away with the previous 25% allowance that Israel could have used locally. 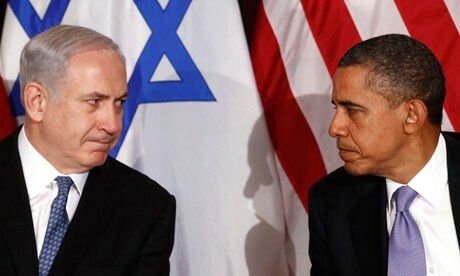 The US aid package to Israel leaves the US in a diplomatic paradox, the claims of Israel being its number one ally in the middle east don’t seem to stand up to questions of why anymore. And whatever changes that the aid package may have undergone does little to address animosity this unconditional aid develops within the Arab world. On the other hand with Israel already spending 15.5 billion on military expenditure, around 5.5% of its GDP, it doesn’t seem clear whether or not the removal of a 3.8 billion yearly injection would be enough to coerce Israel into taking concrete steps towards a two-state solution. Irrespective of whether or not the aid package constitutes enough of a bargaining chip to push Israel to commit to a peace process, keeping in mind that the ship for that has sailed now until 2029, the US will need to work significantly hardier towards placing diplomatic pressure on Israel if its goal remains peace and stability in the region. This will need to come in the form of refraining from standing in the way of Palestinian efforts to gain legitimacy in the international scene, be it through the non-violent BDS movement or UN based initiatives such as seeking for statehood status; attempting to revitalize Arab efforts towards discussion for peace which faltered in 2008; find ways to curtail the impact of the Israeli lobby within the US, and finally playing a more vocal role in condemning Israel’s unchecked behaviour in the occupied West Bank and the siege on Gaza. Unfortunately, the current administration seemed more than content with maintaining the status quo as it attempts to put out fires in in Iraq and Syria. Whether or not the next administration will have different ideas, or several along the way, will be something worth looking out for, although all candidates speeches at this years AIPAC convention fails to indicate any such direction. Until then it seems that Israel will continue unhindered, and sheltered by the international support of the US, in its blatant disregard for international law and human rights. Reformer is committed to creating and sharing thought provoking content from contributors around the world. Lebanese / Canadian political writer and theorist writing on Liberalism, governance, and Marxism with occasional forays into current affairs.